An Ironman 70.3, also known as a Half Ironman, is one of a series of long distance triathlon races created by the World Triathlon Corporation (WTC). The “70.3” refers to the total distance in miles (113.0 km) covered in the race, consisting of a 1.2-mile (1.9 km) swim, a 56-mile (90 km) bike ride, and a 13.1-mile (21.1 km) run. Each distance of the swim, bike, and run segments is half the distance of that segment in a full Ironman, also referred to as 140.6 distance. The running stage on the 70.3 or 140.6 Ironman distance is the hardest of all three modalities. Most triathletes go too hard on the bike in Ironman races and do not save enough energy for the run. I love running and I like to feel myself well-trained to run a good half or full marathon. Running brings so many benefits to a person’s life. It gives the ability of your heart to pump stronger and more efficiently and your muscles to use oxygen more efficiently. 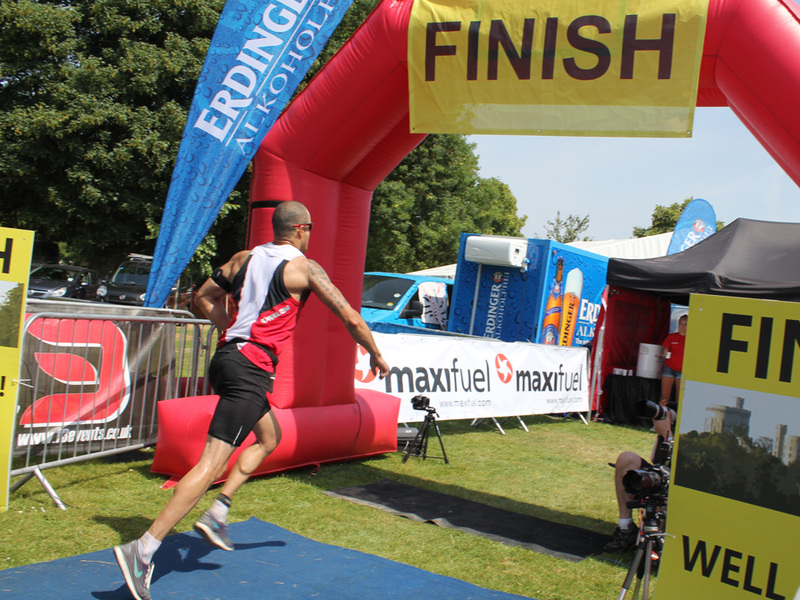 This triathlon race took part in a beautiful city of Marlow (historically Great Marlow or Chipping Marlow) south Buckinghamshire. The running track is quite stunning and you get a nice view from the Thames River at some parts of the race.